You Can Now Book Your Routine Appointments ONLINE! ü No need to call the office! ü Starting 1 month before you are due, you will receive an email or text with a “Book Now” button or link. 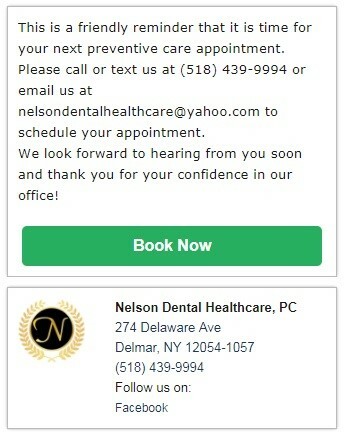 ü Click on the button to view available appointments with our hygienists. ü Click on times under each date to see which hygienist the appointment is with. ü When you see one you like, click “Book Now” & you are all set!